One hundred years ago this month, August 7, 1914, Charles Schroeder was born in Portsmouth, Ohio. If that name is a bit unfamiliar, it's because he would eventually take the name “Nelson King” and become Cincinnati's most influential disc jockey. The job of “disc jockey,” or an announcer who plays prerecorded music over the radio, was relatively rare in the first quarter-century of radio's history. Station management frowned upon using prerecorded material and instead opted for a variety of “live” acts, both amateur and professional, or an affiliation with a national network or syndicator for programming. But beginning in the WWII years and advancing in the 1950s, the job of disc jockey became more and more respectable and lucrative. Nelson King, still using the name Charles Schroeder, started in radio in the mid-1930s at WPAY in Portsmouth before coming to Cincinnati's WCPO in 1938, where he played the top hits of the day on a program called “Jams for Supper.” After a brief stint as news announcer at WKRC, Schroeder landed at WCKY in 1946 where he was asked to change his name and “Nelson King” was chosen after a random glance in a phone book. King's daytime duties included a DJ show featuring tradition mainstream hits, but at night he was given a four-hour block that became the “WCKY Jamboree,” a country music program that was boomed throughout the southern states over WCKY's powerful 50,000-watt directional antenna. Entering homes in the “hills and hollers” with little access to “big city” products other than an occasional Sears catalogue, King sold nearly every product imaginable including Bibles, Lord's Supper table cloths, knicknacks, cement tombstones and even the erstwhile dozen baby chicks (of which eleven were guaranteed to survive the rigors of shipping.) Products were sold P.I., or “per inquiry,” meaning listeners would send their $5 in the mail to station, which would keep 40% and send the rest to the manufacturer to complete the transaction. King was so popular, the profits from his Jamboree program alone paid all the bills at WCKY and the rest of the day's income was gravy. Extra help had to be hired just to open envelopes and count money. WCKY, which was owned by the entrepreneurial genius L.B. Wilson, could only giggle at their good fortune and rival WLW, which held onto its live programming longer than most stations across the country, finally reluctantly surrendered to the economic realities and conducted a massive lay-off of musicians and vocalists in 1952 and hired Walter Phillips, Pete Matthews and a few other disc jockeys. Thus the success of Nelson King changed the radio landscape in Cincinnati by proving that disc jockeys could be very profitable and prerecorded music quite acceptable. 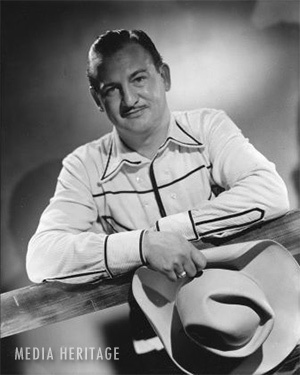 Nelson King's popularity (he won Billboard magazine's Most Popular Country Disc Jockey Award eight consecutive years) caught up with him by the end of the 1950s. Backup host Marty Roberts ended up covering the shift more often than not and King and WCKY finally parted ways in 1961. Except for a brief stint on Cincinnati's first Country FM station, WCLU, in 1968, King mostly retired from radio and died of lung cancer in 1974. Still, King cut a deep path for hundreds, if not thousands, of other disc jockeys to follow and for his contributions he was inducted in the Country Music Disc Jockey Hall of Fame in 1975.